In the last issue, we reported on the (US) National Cancer Institute’s President’s Cancer Panel report, focused on “Reducing Environmental Cancer Risk: What We Can Do Now”. We don’t like to harp, but this really is a landmark report! An insightful review by Ted Schettler, MD MPH, explains how critical it is to take heed, and take action on prevention. 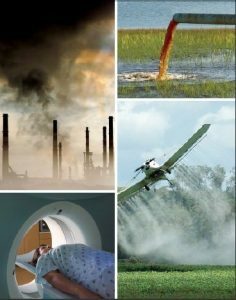 PCN asked major health and cancer organizations across Canada for their take on the report, and specifically, what they are doing about environmental contaminants. Their responses are summarized in “Canadian Responses to the President’s Cancer Panel”. The Canadian Association of Physicians for the Environment agrees that: Cancer Prevention is in our Power. Read their take on how power generation can cause cancer. …Speaking of which, Linda Gasser continues to work hard against incinerators in our communities. Read her latest round-up of activities here. 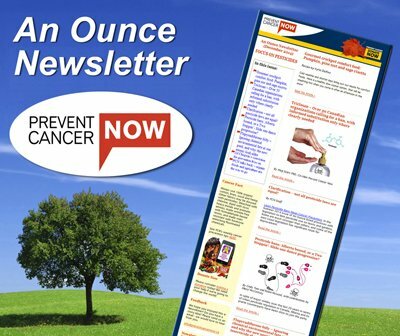 Our mission at Prevent Cancer Now is to eliminate the preventable causes of cancer. A major Canadian study is trying to help unravel the web of cancer-causing factors, and you can help. Researchers in the Canadian Partnership for Tomorrow Project are hoping to recruit 300,000 Canadians and follow their progress over several decades. Find out how to get involved. In case you managed to miss the plethora of pink, we wanted to point out that October is breast cancer awareness month. Do we really need continued awareness of this disease? Do the pink marketing efforts help? Some think not. Anne Rochon Ford is co-director of the National Network on Environments and Women’s Health. Read her plea to re-direct efforts to prevention. A couple of great resources have been issued on toxins in cosmetics and personal care products. The Story of Cosmetics is featured on the PCN home page. Janice Melanson of Breast Cancer Action Montreal reviews this US-produced video, with a focus on how cosmetics are assessed in Canada. Our situation is better than in the US, but there’s still lots of room for improvement in the regulations, as noted in a report by the David Suzuki Foundation – “What’s Inside? That Counts”. See what you can do to take action for safe cosmetics, in this issue of An Ounce.